This is part three of a three-part series. To catch up, read parts one and two, here: Why Your Brand Needs Empathy and How to Build Trust Through Empathy. Steve brings over twenty years of experience in marketing, selling, and delivering customer engagement solutions to the world's most customer-centric organizations. 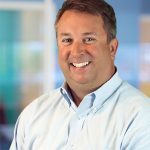 Prior to joining Cogito, Steve led product marketing for Pegasystems, growing the CRM suite from a niche player into a recognized leader for marketing, sales, and service applications.